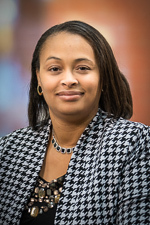 Dr. Johnson-Davis is an associate professor (clinical) at the University of Utah School of Medicine. She received her BS in biochemistry from the University of California, Riverside, and her PhD in pharmacology from the University of Utah. She was a postdoctoral research associate at the Center for Human Toxicology and completed a postdoctoral fellowship in clinical chemistry at the University of Utah Department of Pathology. Dr. Johnson-Davis is board certified in clinical chemistry and toxicological chemistry. She is a diplomate of the American Board of Clinical Chemistry and a fellow of the National Association of Clinical Biochemistry and the Association of Clinical Scientists.